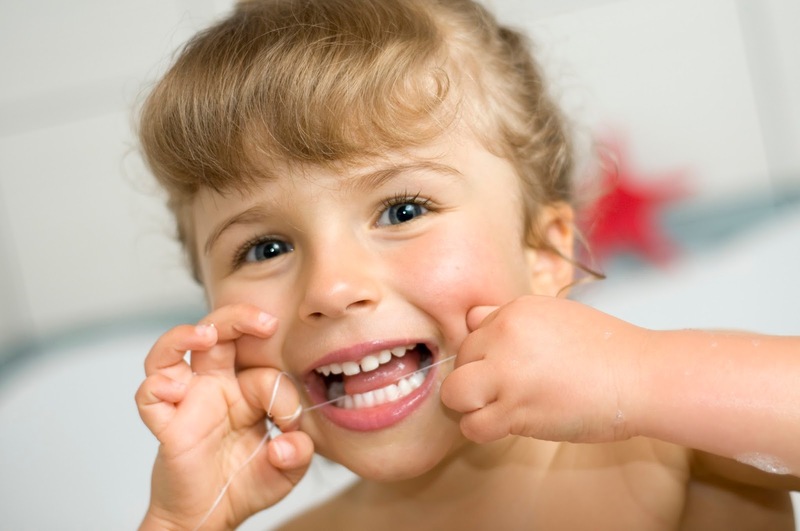 Tips to Help Kids Learn How to Floss - Adelberg Montalvan Pediatric Dental PC & Orthodontics too! You know that you should be brushing for two minutes, two times a day, but do you also remember to floss? Flossing is one of the most important steps in your oral hygiene routine — and it’s an important habit to instill in your children, too. By teaching them how to floss, and the importance of flossing, at a young age, you can help set them up for a life with beautiful, healthy teeth. Make It a Game – Turn Play-Doh and LEGOs into a learning tool! Take some Play-Doh (acting as food particles) and put it on top of a LEGO block. Be sure to put it inbetween the “teeth” of the LEGO. Then, have your child take a string and “floss” the Play-Doh out of the lego. Remind Them & Reward Them – Don’t forget to remind your kids to floss after brushing, and reward them at the end of each week that they successfully check each oral hygiene item off their to-do list. If you have any questions at all about how to care for your child’s teeth, give our office a call! We are here to keep tiny teeth beautiful and healthy.